There is no higher value in our society than integrity.. Many of the articles written in this blog over the past three years have highlighted true stories of individuals whose self-centeredness or lack of integrity negatively affected the lives of others. These stories have been episodic in that they included wholesalers, brewery executives, retailers and others in the beer industry. Many stories focused on the aftermath of what happened to those affected by the repercussions of such self-centered individuals. Perhaps it is due to social media, or the increased number of new breweries and individuals migrating into the beer industry. Maybe it is simply human nature. But it seems more and more stories of this nature have surfaced in recent years. Regardless of the reason, the negative results of such behavior have far reaching effect on others. In a conversation with an ABI distributor late last fall, he told of the difficulty he was having in getting and holding tap handles. With all the new craft brewers around, and all the young feet on the street, the war at the retail level has gotten out of hand. The pay-to-play mentality is everywhere. The argument is no longer about the beer itself, but about how much, or what will it require, to get my beer on tap. Consider that this individual’s story came from a long established ABI house that has lost business and handles to breweries that violated state and federal laws. It is not a question of wither or not pay-to-play ought to be legal, it is not legal, therefore the law should be abided by all. Unfortunately, the integrity to follow the law is lacking in this case and countless others cases across the country. Another disturbing story which is still being litigated, involves a state alcoholic director who was fired for alleged sexual harassment of an employee. At his own expense the director fought back and was recently vindicated with the accuser admitting she had lied under oath. More details will come out over the year, but a beer company is involved in this messy story and it will not be pretty. Most of us have been negatively affected in one way or another when the rule of integrity is pushed aside. This includes me. I had made the decision to join Krombacher based on the brewery’s commitment to me and the U.S. market. Now looking back, in my opinion, the brewery had no intention of keeping their commitment which they terminated in 2012. I feel their plan was to become established and educated in regards to the US market and then move forward without those who assisted in this task. I feel they were deceitful in their dealing with me, and I regret joining them, but ultimately that decision to do so was mine and mine alone. What is greatly disturbing, however, is that a number of highly qualified beer people joined the team based not only on the potential of success and challenge of building this brand, but because these individuals had confidence in my abilities to make Krombacher a successful band in the U.S. All were fired. Now over two years later, all five of us have had a difficult, if not impossible time, finding employment. Many have been forced to take positions earning substantially less than they were accustomed. It goes without saying; this has been a difficult time for all. 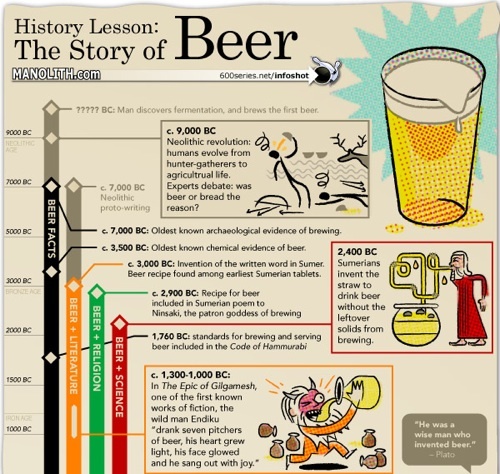 The beer industry has been, and will continue to change. The reality is it makes no difference whether it is Krombacher or a wholesaler, an executive, a retailer or an employee, what is missing more than ever is integrity. Without integrity the beer industry is lacking. There is no higher value in our society than integrity. We are afraid of the enormity of the possible…. The four major professional sports: football, basketball, baseball and hockey all have some form of salary cap. The public idea behind a cap is to ensure all the leagues are on a level playing field. In essence, the cap provides a team in New York, with potentially has more opportunity to create larger revenue streams, and would not have an advantage over a smaller-market team with less opportunity to generate large revenue. The cap also has another purpose. It keeps team owners from over spending, or better yet, the cap keeps the team owners under control. In return, the players share in the revenue. The owners put up the investment to start the leagues, but the players, whose skills the fans come to see, are getting paid well. To this point it is a win/win for both sides. Knowing what distributors look when acquiring a new brewery, we created a very compelling and complete model for Krombacher in 2010. All the parts were in place: a family owned brewery for over 200 years, the largest selling brand in its home country, great quality, a growing global presence, and most importantly, a major financial commitment to develop the US market. Add in a highly experienced sales and marketing team and all the parts were in place for a successful brand development in the US. As we presented our five year marketing plan to distributors in targeted states, the distributor response was extremely positive, as was indicated by the fact that only two distributors rejected the brand in about 200 plus presentations. Even though there was no history for this brand in the US, with this type of commitment and support, why not take on the brand? After all, the appointment was free. Carve-out provisions allow crafts (or others) to buy their way out of a distributors’ house. The price is usually set by a pre-determined multiple, coming from the state franchise regulations. The distributor was awarded the brand for free, made money on selling the brand, and then sold the brand for the multiple, based on sales the distributor built. Like most states, the craft business in Texas is on fire. Millions have been invested to build small, but growing breweries. Many of these crafts decided to self-distribute, either because they could not find a distributor to take their brands, or because they believed self-distribution gave them the best chance to succeed. Either way, a number of the craft brands have been highly successful at self-distribution at the expense of existing distributors. MC and ABI distributors, having watched many such small crafts get handles and grow, and are now chasing these brands. Such established distributors are presenting attractive business plans in hopes of partnering up. Some of these small brands have hundreds of handles, creating instant and profitable cash flow for the MC and ABI distributors. The initial work has been done, harvest the fruit! Three craft breweries have sued the state of Texas over a recent law which prohibits crafts from selling their distribution rights. Distributors did not want to buy the rights from the breweries but still wanted to retain and have the right to sell said rights. The state legislator who sponsored the bill lost his reelection bid, in part due to the craft brewers’ effort to get him out. The crafts will now seek to have this law revoked. Like most Schlitz distributors in the early 1980s, we were very concerned about our future. Schlitz was in the early stages of self-destructing and the sale to Stroh was looming nearby. While Coors had expanded in south Texas, they had achieved a market share of less than 5%; however, most of the Coors distributors were not yet ready to sell. There were a number of small distributors with regional brands in our marketing area. All had several imports and within two years we had purchased three of them, thus creating the foundation of our import portfolio. Because we were located on the Mexican border our import volume was predominately Tecate and Carta Blanca. Corona was still shipped in the brown bottle. 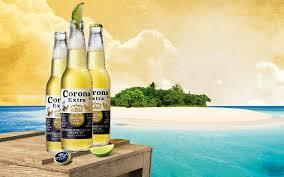 Corona’s shift to a clear bottle changed everything and the brand started taking off. A small Lone Star distributor nearby, however, started selling the brand on top of us. Since Texas law requires appointments made by suppliers, not importers, I called the brewery in Mexico, and with Modelo’s export director, Carlos Alvarez, (yes, of Gambrinus) I obtained the necessary paperwork. It was during this time that Barton had taken over the importation of Modelo. We met their sales manager, Bill Hackett, who was working for Mike Mazzoni, the President. As is well known, Bill took over from Mike when he left Barton in the early 90s, and has since remained the President. Jim Koch has continued on as the head of Boston Beers having founded the brand around 1984. Koch has lead Boston to the top of the craft industry over the last 30 years. Both Boston and Modelo have been great winners for those wholesalers who were fortunate to have these beers in their portfolio. The continued growth of these two mega companies has taken place even with the economic downturns and the growth of the craft segment. I call this the supplier Y factor. Just like the distributor X factor, the supplier Y factor includes many other suppliers, not just Bill and Jim. These suppliers are composed of: Kim Jordan, David Casinelli, Sam Calagione, Greg Koch, and Ken Grossman, just to name a few. There are, of course, many others. Such leaders have built relationships with all tiers and honored their promises, commitments, and stand by their beliefs. They have been in their positions for decades as either owners or top executives who were given the authority accomplish the required goals. That is the key. Investment groups are not the answer. Just look at companies such as North American Breweries, Iron City, or even Pabst. Add in a number of importing companies or foreign owned ones, and you can see that the supplier Y factor is not there. Yes, just as there is a distributor X factor, there exists a supplier Y factor. Both Crown and Boston are leading the way. The future is the past…unless you do something about it now. About two months after joining Warsteiner, the brewery invited all the countries that sold their beer to Germany for spring meetings. During that week, the brewery set aside two days for planning exercises. As is typical of many corporations, when leaders of the organization are gathered, training or exercises designed to educate, improve moral, or build teams are often implemented. Why waste a good meeting? In this case Warsteiner had brought in a consultant who asked each country leader to project out what we thought our business units would look like in five years. We were then to determine what would transpire during each of these five years to ensure we reached our stated goal. Like most planning exercises it was all an educated guess but we went through the steps. Jim Koch will be 75 years old! The craft/import segment will be lumped together and known now as high end premiums. Bud Light/Coors Light/Lite and all other domestics will be grouped into one category: popular beers. High ends will be 50%+ of market share. European imports will be major players due to years of over investing in the US since the exchange rate is favorable and the changing demographics in Europe. Because of the legalization of marijuana, the drinking age will be lowered to 18 or 19 years of age in all states. The three tier system as we know it will be gone, and direct sales to retail will be available to vendors who want to only high spot. Franchise laws will be modified to support contractual laws. Distributors will represent vendors who want market penetration. Contracts will be performance-based, time-bound and will supersede weaker franchise law. Those contracts will support the three tier model. Beer real estate in the off premise chains will be virtual ensuring all SKUs will be available. Growlers will be the dominate packaging. If the Democrats win in 2016, beer and tobacco taxes will skyrocket to help pay for Obamacare. If it is a Republican win than the tax increases will be much lower. Women will be running more beer companies than men. SAB Miller will not exist as it currently is, and ABI will be highly diversified into other non-beer products and goods. Finally, pay to play will be the norm for the on premise. Call it slotting fees for the tap handles, or just like what is going on today, but in 2025, it will be legal and in writing.